Momentum for project-based learning (PBL) is building across the United States and internationally as school systems seek better ways to prepare students for college, careers, and citizenship. This shift to student-centered learning puts new demands on teachers. How does their role change with the adoption of PBL? 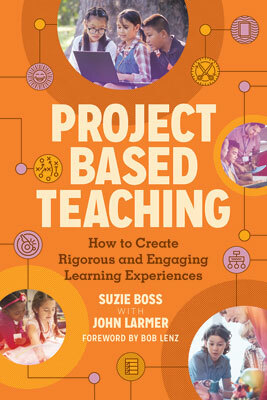 In this interactive webinar, Suzie Boss and John Larmer, coauthors of Project Based Teaching, will unpack the seven teaching practices that set the stage for successful teaching and learning during PBL. Following the framework developed by the Buck Institute for Education, the authors will explain the importance of each teaching practice: design and plan, align to standards, build the culture, manage activities, scaffold student learning, assess student learning, and engage and coach. Classroom examples will bring the practices to life, showing how specific teacher moves help students realize the full potential of PBL for deep and meaningful learning. During the webinar, participants will be prompted to reflect on their own practice and consider tools and strategies to improve the PBL experience for their students. The webinar will also offer suggestions for school leaders and instructional coaches as they support teachers in adopting PBL.